Put the science of enterprise shipping to work with Dynamics 365/AX and Pacejet. This combination provides a data-driven shipping solution that helps you evolve, adapt, and improve as your business grows. Offering shipping solutions that give you an edge. Automatically rate shop across more carriers to find the best price for shipments. Automate workflows and integrate carriers with your ERP to reduce manual steps. 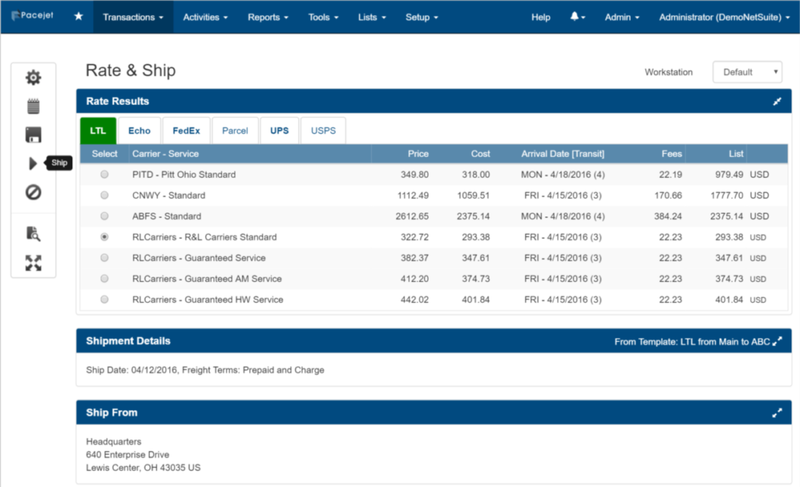 Validate items and quantity against orders to ship faster with fewer costly mistakes. Use more carrier services, choose faster transit times, comply with customer rules.